Had I been a politician, I would have aligned myself with the conservatives. You know, like the old foggers who would spend inordinate time complaining incessantly about anything new and romancing the past and not too receptive to changes. They see change as chaos, and are quick to brandish the `if it’s not broken why change’ mantra. They love order and stability. I love order and stability. That is why I am a little perturbed to read about the state of policing in this country. I am an old fart so excuse me while I reminisce and exaggerate. Perhaps this is good because it shows that the Police are approachable and accessible but when some people take advantage of this and see it as a weakness, then something is not right. Something is definitely not right when Police officers are assaulted in broad daylight. And the vitriol against the Police in the internet is beyond belief. It is as if the police are the enemy of the people; meek, inefficient, weak. And I blame the police for this perception. Just go to Geylang. The blatant and rampant misdemeanours occurring there will leave you with the impression that either the police are non-existent or they are powerless. It started when the Police, perhaps due to a lack of manpower and resources decided to devolve some of their responsibilities to the respective `owners’ of certain laws and regulations. Take Geylang for example. The open sale of sexual enhancement medicines and cough syrup is under the Health Science Authority. The sale of contraband cigarettes is under Customs. Illegal parking is under the LTA. Employment in the bars is under the MOM. Illegal immigrant is under the ICA. Illegal hawking and littering is under the NEA. That is not to say that the Police do not have the powers to take action against all the above. They still do. But they have decided to leave it to the other agencies. And then of course we have the infamous Jover Chew incident when the police initially decided to leave it to CASE. Only when the internet blew up did the Police decided to seize back the initiative. The problem with devolving their responsibilities is that when the other agencies failed to do their job properly, all eyes would be focussed on the Police. All fingers would be pointing to the only direction they knew; the Police. And then you will have accusations that the police are hopeless, powerless and useless and over time, this perception grows and you have the kind of negative reactions towards the police that you have today. It is about time that the police reclaim the initiative. They will have to be more pro-active and reboot their philosophy. They have to understand that despite the existence of the other agencies, they, the Police are the overarching authority as far as law and order are concerned. 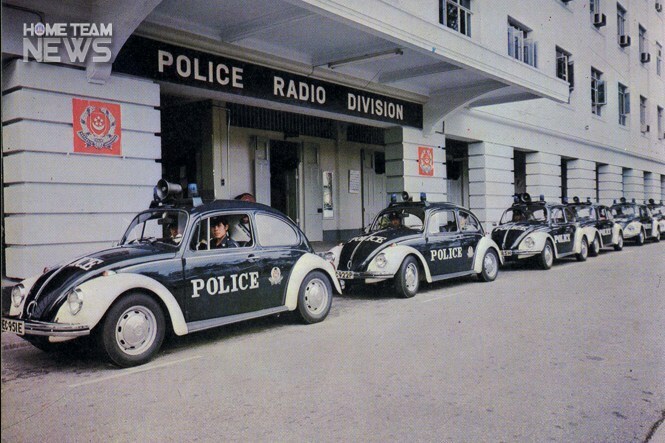 We want our old police back. The ones who are firm, quick and decisive but maybe approachable enough to take a selfie with.